Casio’s latest pilot watch, the G-Shock Gravitymaster GPW2000-3A, features the most accurate timekeeping technology ever presented in a watch. Using its 3-Way Time Sync feature, the Gravitymaster automatically calibrates the time with redundant military-level precision. First, the watch automatically utilizes Bluetooth to connect to the time server via your phone. This low-energy Bluetooth connection requires the least amount of power and so that is one reason it is always the default method for calibrating the time. Second, if the Bluetooth calibration fails, multi-band 6 radio-controlled atomic timekeeping is utilized. Third, if those aforementioned two methods fail, GPS calibration is activated. Finally, if the 3-ways mentioned do not work you can manually set your watch. 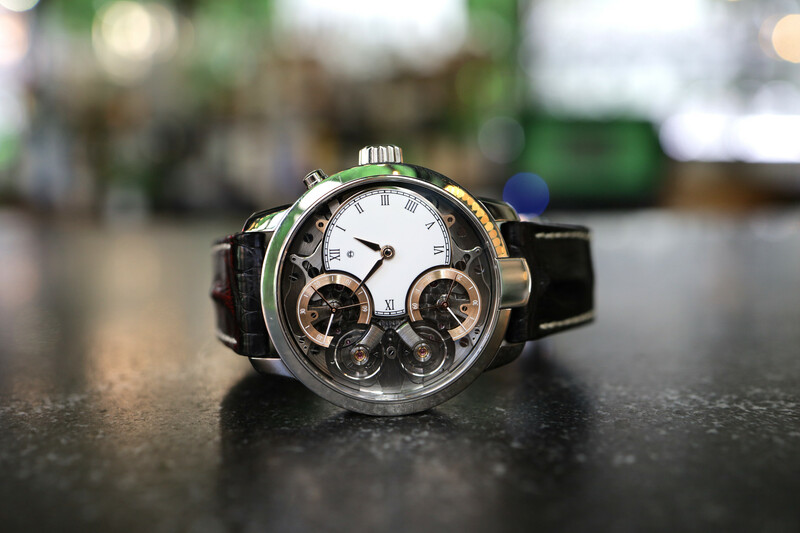 However, considering the redundancy of the 3 methods, you will virtually never have to manually set the watch, ever. In addition to the unprecedented timekeeping technology packed inside Casio’s latest Gravitymaster, there is a very cool app created exclusively for the Gravitymaster, called the G-Shock Connected Smartphone App, which not only calibrates the time automatically, as discussed above, it also provides the world time for over 300 cities, and acts as a digital flight log. The last feature, allows the user to track flights around the world, whether you are a pilot or frequent traveler, and view a 3D map of each trip on your iOS or Android smartphone. 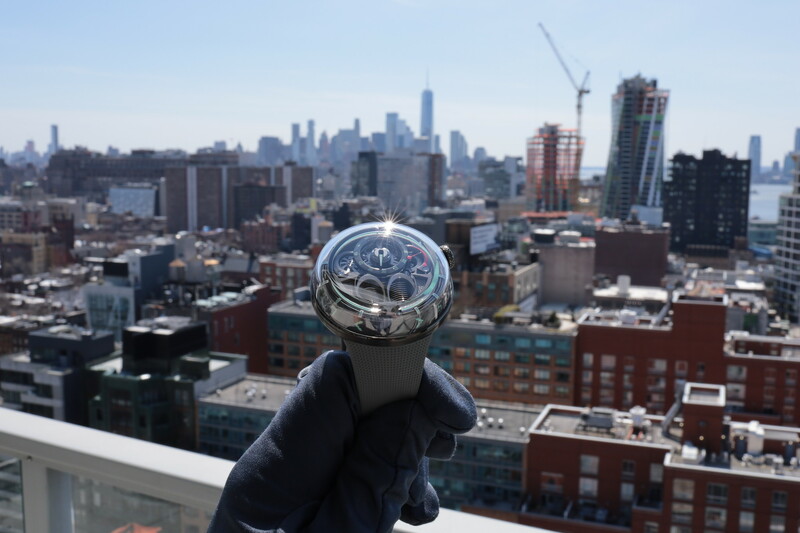 Furthermore, when the GPS satellite signals are received, your current latitude is displayed on a dial 9 o’clock, with the longitude at 6 o’clock. Notably, the latitudes and longitudes of selected cities are also displayed when switching among World Time cities. 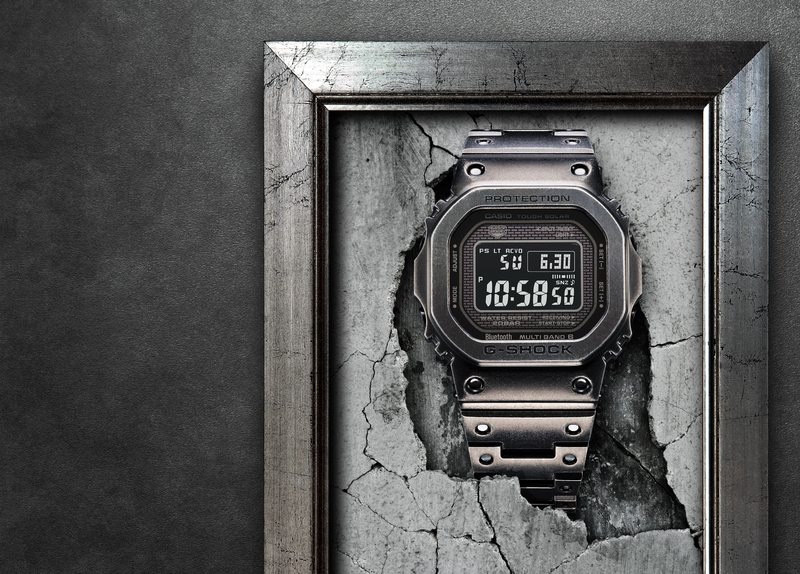 All of this technology is packed inside one of the most rugged G-Shocks ever produced. For pilots, military personnel, and other frequent travelers – this is the ultimate professional pilot’s watch. The retail price is $800. 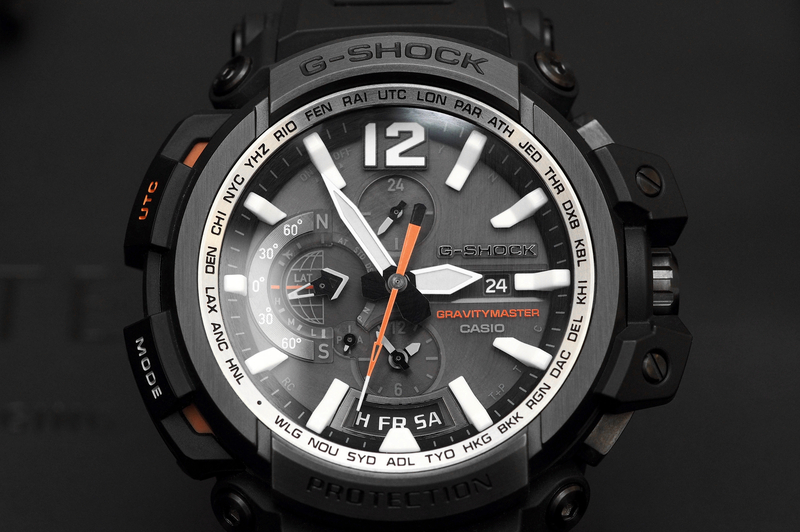 Read more about the Gravity Master GPW2000.